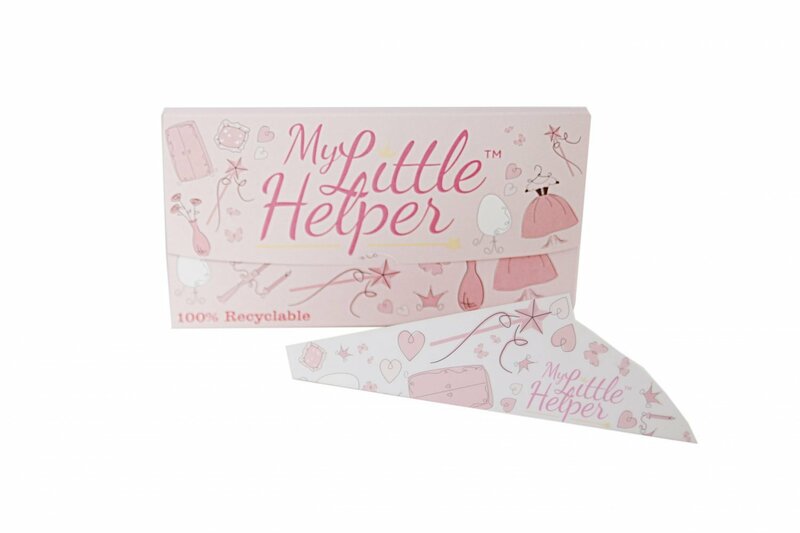 My Little Helper® is the only product on the market for Girls. Comes in a convenient 10 unit, reclosable envelope style pack. Product comes ready to just pop open and use. Both the product and the packaging are eco-friendly and recyclable. Compact, and easy for girls to carry & use. Specially designed for a younger girls body (ages 3-11). The product is made of top-grade reinforced industrial composite paper which is coated inside and out with a leak-proof barrier to ensure a secure and waterproof construction. 100% Recyclable, and Eco-Friendly. My Little Helper® (MLH) comes in a cute reclosable princess style pack. Each 10 count pack dims are: 7”L x 4”H x 3/8”thick (18 ¾ cm L x 10 cm H x 1cm thick). Funnel can easily be folded in half when needed for smaller pockets. Each unit is packed ready to just pop open to make the funnel shape and use. Girls love their special version.